Beautiful fish in the aquarium. 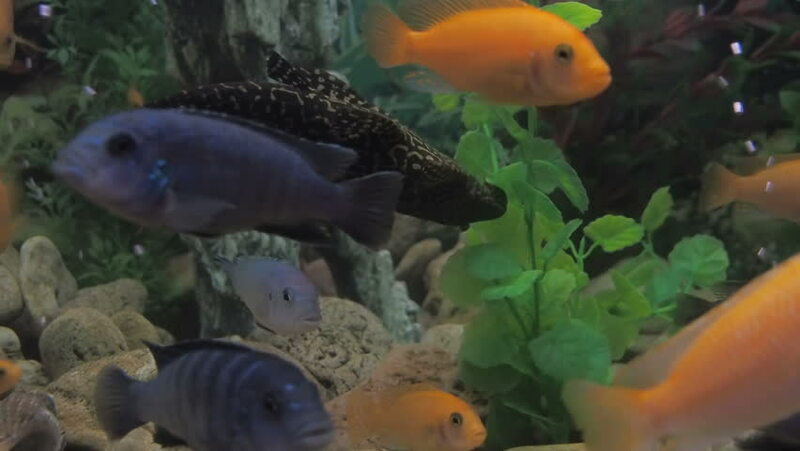 Colored cichlids. hd00:17Blotched snakehead, Forest snakehead endangered museum exhibits. hd00:25 Red Sea bannerfish (Heniochus intermedius) close to the camera. hd00:21Marine invasive species Round goby (Neogobius melanostomus) portrait, close-up. Black Sea. Ukraine.